Between Disney: Between Books - Who's Afraid of the Song of the South? Between Books - Who's Afraid of the Song of the South? 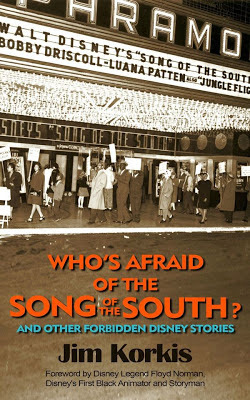 Jim Korkis provides inside stories in Who’s Afraid of the Song of the South? And Other Forbidden Disney Stories, in the style of his earlier book The Vault of Walt. The book is divided into two main parts. 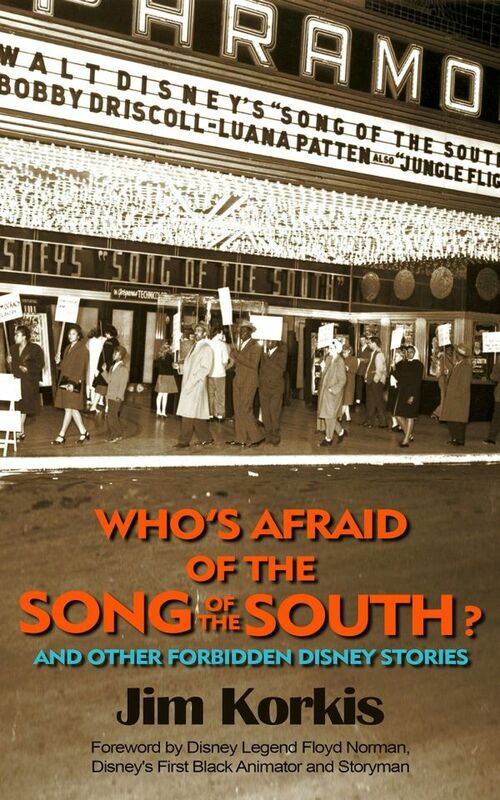 The first 100 pages focuses on the controversial Disney movie The Song of the South. Korkis examines this film in depth including outlines of the screenplay development, casting, music, premiere and of course the controversy that emerged from it. Along with discussing the movie he also delves into other historical aspects of the Brer family, including the Uncle Remus comic strip, the Song of the South song, a biography of author Joel Chandler Harris and the development of the Splash Mountain attraction. The final 150 pages provides a variety of “forbidden” stories that Disney history, especially official history, does not typically cover. 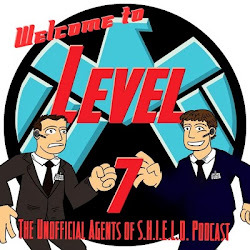 These tales include Disney educational films on menstruation and venereal disease, a Mickey Mouse story that includes suicide, the myth of Walt Disney’s last words, Tim Burton’s early tenure with Disney animation, Ward Kimball and his attempts to develop a factually based UFO production, and several more. The focus on The Song of the South has lead to several discussions around my workplace. The film clearly still captures the interest of the general public, even if they have not seen it. I loved hearing co-workers who would not call themselves Disney fans note that Disney history is a reflection of American history. And Korkis’ writing helps make this point as he discusses the greater background in which The Song of the South was developed, released and the changing opinions of the film as time passed. As Korkis discussed the fact that James Baskett, who played Uncle Remus, would not have been able to attend his own premier due to race laws I was deeply saddened. But it also helps provide context to a greater issue in Southern history and the prevalent racism of the day. Korkis does not whitewash the history of this Disney film. He makes it clear that a major criticism, and a legitimate one, was the inability of the story to firmly establish the setting in the Reconstruction era instead of a pre-Civil War south. Viewers have had difficulties understanding that Uncle Remus and other African Americans on the production were free and not slaves. From my own informal surveys of those who have seen the film, the criticism is valid since 50% of those I polled believed the film was set during the slavery era. I would warn the title however is a little misleading. So, if one is looking for a book that provides in-depth discussion of this topic, they will likely be disappointed that the entire text is not focused on the film. Others who enjoy Korkis’ writing style and his “inside baseball” type tales will likely be satisfied if not thrilled with this format which shares stories from over 60 years of Disney history. Korkis’ writing is very clear and easy to read. I do think that with the topics he presents, especially in the “forbidden” realm, that it should be noted that Korkis presents his tales with a respectful tone. Honestly, some of these issues, including a pornographic poster and Disney’s educational films, could easily lead to snickers in any boy’s locker room. Instead, Korkis presents these tales in a way where even the silliest reader will not blush or snicker. Two personalities rise to the top for readers. Walt Disney is linked to many of these stories and of course The Song of the South film. Disney has been criticized for being racist in allowing this film to be released. Instead the picture that Korkis presents is a man who was deeply sensitive to the race issue. He did not move forward with the original script treatment which he saw as highly racist. And he went to extremes to correct the tone of the initial draft. Additionally, he was very supportive of James Baskett, even advocating the actor receive a special Academy Award for his portrayal of Uncle Remus. You must applaud Disney for producing a film that featured a significant African American cast, one in which it would be impossible to edit out those characters for Southern audiences, which was often done for Southern theaters. Second, Ward Kimball and his quirkiness shines. In this case a short essay on UFOs and Kimball was one of my favorite essays. Those familiar with Kimball’s career will find it easy to believe that he was a UFO true believer. And one cannot help but smile as you read of Kimball retelling Wernher von Braun’s tales of the Roswell Crash and trying to get UFO footage from Air Force officers. It just makes it clear that we need the Kimball biography, which will further expand our understanding of this unique creative man! Jim Korkis in Who’s Afraid of the Song of the South? presents Disney historical issues that are largely “forbidden” or ignored topics. His analysis of The Song of the South is informative and sure to kick off many discussions. His exploration of other topics is serious and helps uncover episodes in Disney history that many readers will not be aware of. Who’s Afraid of the Song of the South? is a successful follow-up to The Vault of Walt, and anyone who enjoyed that original offering will be pleased by this newest book.